Dr. Scott Wood received his M. D. degree from the University of Florida and completed his training in internal medicine at the Johns Hopkins Hospital. There he began his career of patient care and teaching, which he has continued since 1982 when he came to Stanford University. 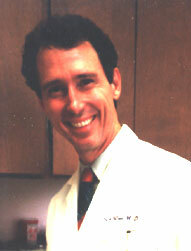 He entered private practice in 1993, and in 1998 pioneered the Interactive Wellness System model of medical care. He lives in Menlo Park with his wife Jackie. VOICE MAIL: (650) 325-9979. Messages may be left regarding any medical problem, question or need. FOR URGENT NEEDS: During office hours: Please call the medical assistant (650) 325-9955 who will contact the doctor for you. If you get voice mail, you may press “4″ to page the doctor. Alternatively, you may have the doctor paged directly through the Stanford Page Operator (650) 723-6661. After hours: The doctor may be reached through the answering service by dialing the medical assistant number (650) 325-9955. MEDICAL ASSISTANT – Melinda Hui-Chang: (650) 325-9955. Available during office hours (8:30 a.m.-4:30 P.M. Monday – Friday except holidays) for routine appointments, nonurgent prescription refills and non-medical questions. BUSINESS OFFICE: (650) 325-8590 for questions regarding payments or charges.